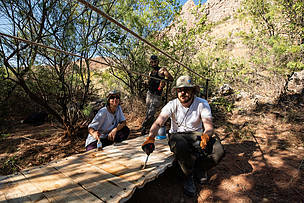 WWF began its activities in Armenia since 2002 and as of November 2006, WWF-Armenia has been registered as an official branch of WWF International as a part of WWF Caucasus Programme Office. One of the main priorities of WWF-Armenia is conservation of endangered species such as Caucasian leopard, Armenian mouflon, Bezoar goat, Brown bear, etc. Over the past 10 years WWF has undertaken considerable efforts to assess the status of the Caucasian leopard in the Caucasus. 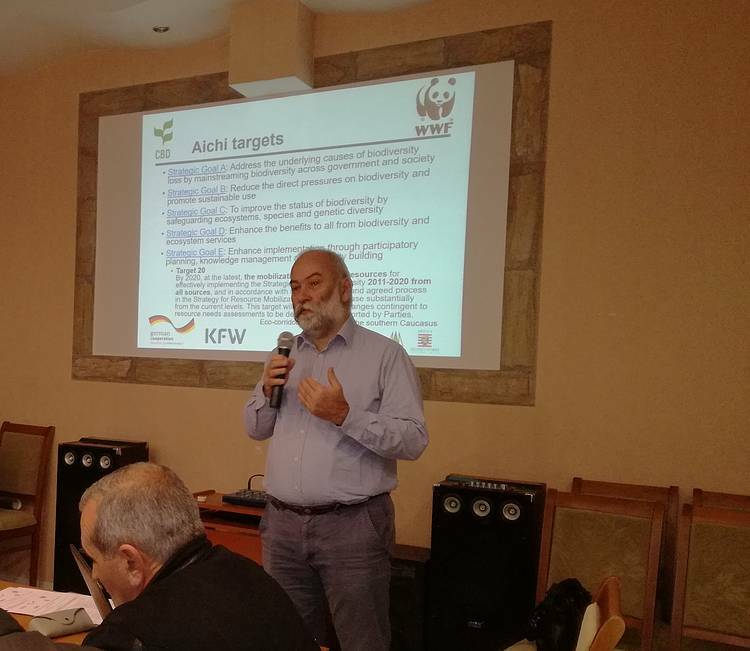 Together with key stakeholders WWF developed the Regional Strategy and the National Action Plan for leopard conservation and started its implementation. Close partnership of WWF with the Ministry of Nature Protection (MoNP) resulted in great achievements in the field of PAs system development. Four new PAs (Arevik National Park, Zangezur and Khustup State Sanctuaries and Gnishik Protected Landscape) covering the habitats of leopard were established in southern Armenia with the total area of 73,229 ha making 2.5% of the territory of the country. 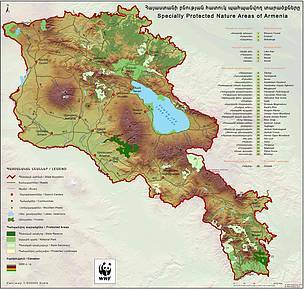 In the result of WWF partnership with the governments of Armenia and Georgia the first transboundary protected area was established in the Caucasus: Lake Arpi National Park in Armenia and Javakheti National Park in Georgia. In addition, we support PAs through technical capacity building and staff training to implement different management programmes - protection, research and monitoring, awareness raising and ecotourism. In order to enforce protection of endangered species WWF assisted Khosrov and Shikahogh State Reserves, Arevik National Park, Zangezur and Khustup Sanctuaries with necessary facilities and equipment (rangers’ shelters, off-road vehicles, road blocks, binoculars, photo-cameras, etc.). To enforce protection of endangered species outside of PAs WWF provided necessary equipment (off-road vehicles, binoculars, cameras, etc.) to the State Environmental Inspectorate of the 3 regions in Armenia (Syunik, Vayots Dzor and Gegharkunik). WWF also focuses on climate change and implements measures on adaptation of forest ecosystems to climate change. In particular, WWF has been implementing projects on forest rehabilitation and transformation of monoculture pine stands into mixed broadleaf forests to make them more resilient to climate change. WWF pays special attention to local people living near PAs. We implement projects on creation of alternative livelihoods for local people through development of ecotourism (guest houses and natural trials) and beekeeping, establishment of orchards and vineyards, provision of necessary agricultural machinery etc.